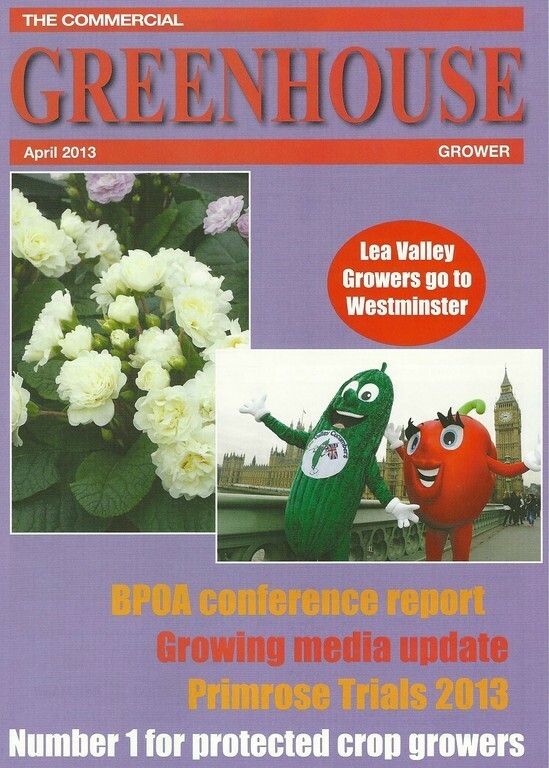 Find out the latest news at Lea Valley Growers Association. 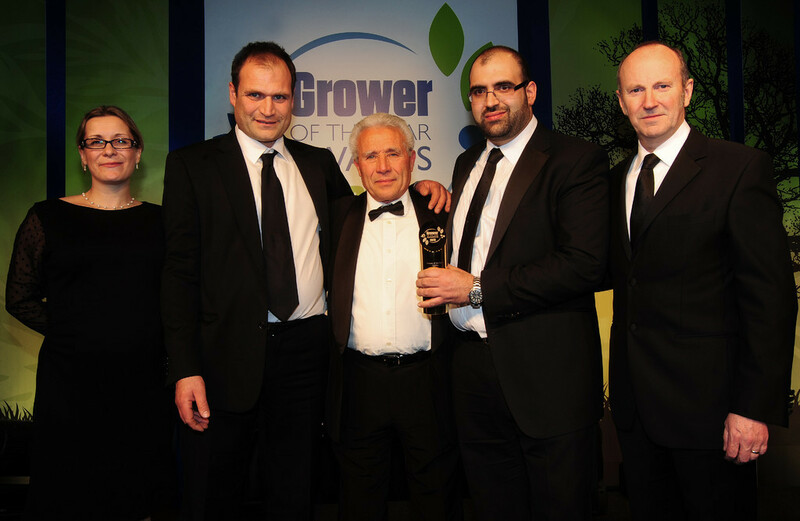 Cucumber, Aubergine & Pepper grower F & T SChembri scooped both the Salads Grower of the Year and overall Edibles grower of the Year. 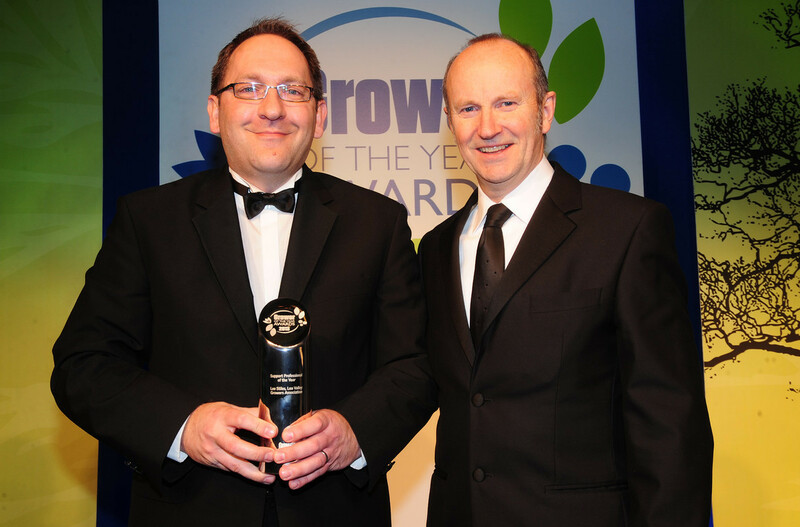 Lea Valley Growers Association secretary,Lee Stiles received the Support Professional of the Year award from the Host, broadcaster and comedian Fred MacAulay. 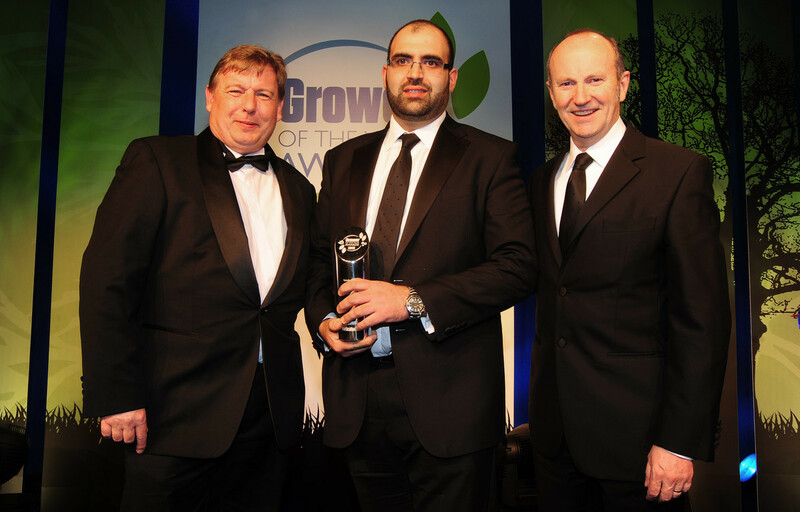 Lee was instrumental in establishing the Great British Cucumber Festival in response to the e-coli scare within the Fresh Produce industry that affected sales and therefore his members businesses in 2011. 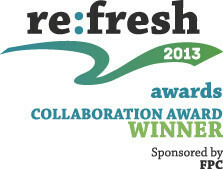 The Festival also won the Consumer Marketing Campaign of the Year award. 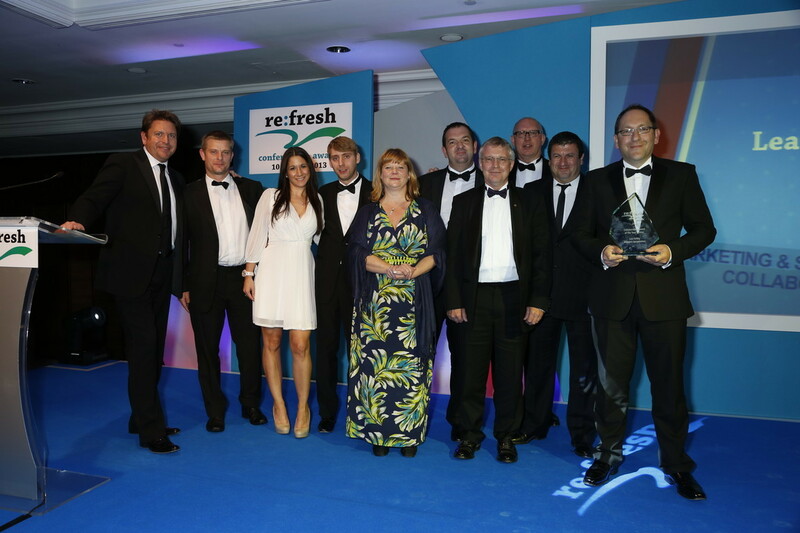 The Great British Cucumber Festival was named the winner of the "Consumer Marketing Campaign of the year". The year 2011 was not a good one for cucumbers. It was widely — but wrongly — believed that cucumbers were the source of the E. coli outbreak in Germany. Consumers were avoiding them altogether. An assortment of growers felt that something had to be done. 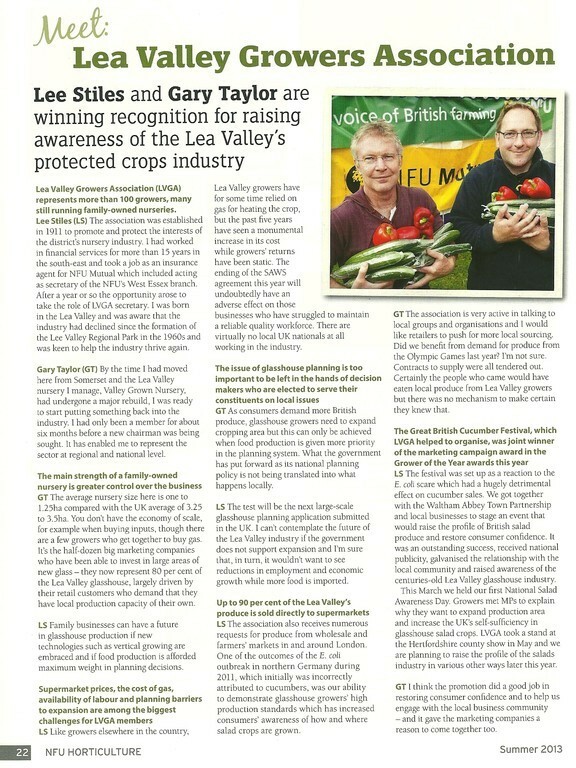 The Lea Valley Growers Association, with major growers such as Abbey View Produce, Glinwell, Stubbins, UK Salads and Valley Grown Salads, businesses and local authorities held the Great British Cucumber Festival on 17 September 2011. 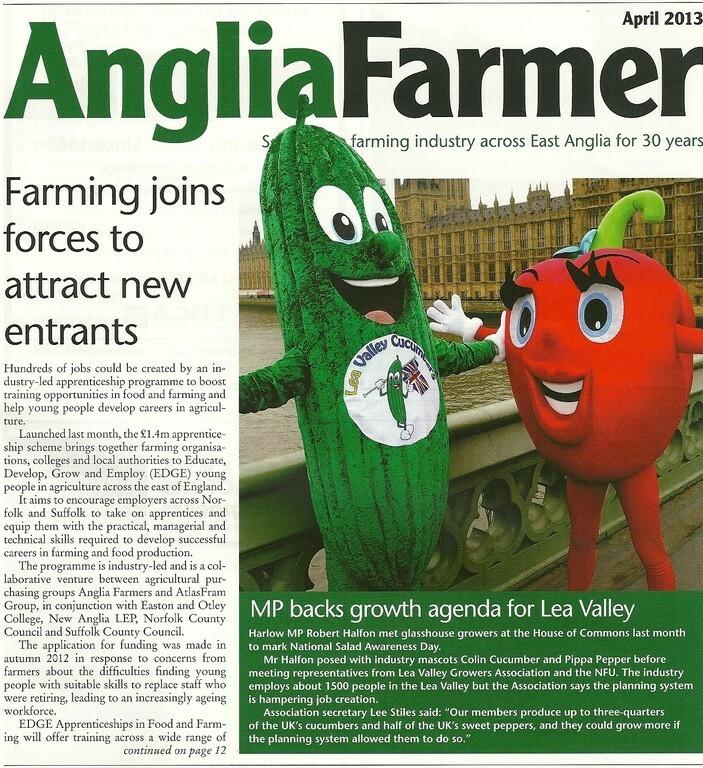 The event was designed to celebrate not just cucumbers but all produce grown in the Lea Valley area. Around 4,000 people gathered in Abbey Gardens in Waltham Abbey for what was described as a “quirky family day out”. There were competitions, local celebrities and football stars, mascots dressed as cucumbers, peppers and tomatoes, plus plenty of fresh produce to sample. In addition, there were children’s arts and crafts, dancers and suggestions for using cucumbers in drinks and salads. The following year, the event was held in May — shortly before the Olympics — and was even larger, with national media coverage and an appearance by comedienne Hattie Hayridge. The occasion also drew attention to the importance of the Lea Valley as a traditional centre for market gardening. The campaign was particularly valuable because it marked both a significant mobilisation to address the industry’s problems and encouraged the development of local pride in a traditional crop. The festival also reached the regional finals of the Countryside Alliance Awards known as the Rural Oscars. 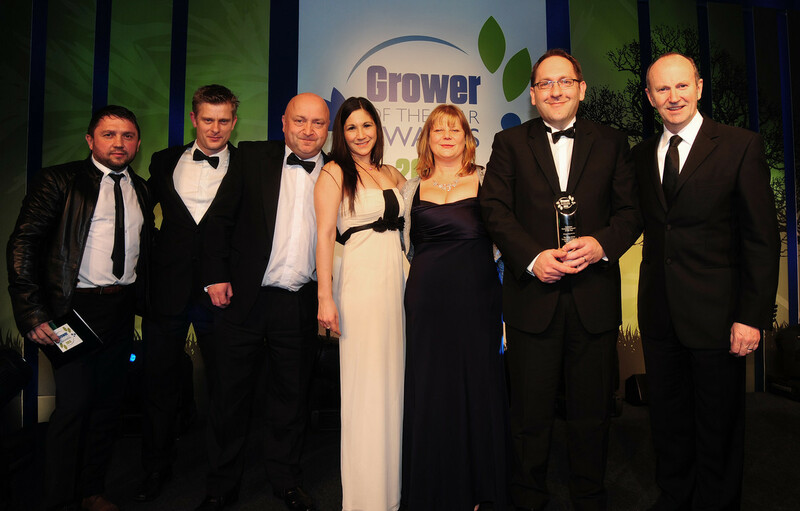 Lea Valley Growers Association secretary Lee Stiles said “We are proud of the award which recognises the hard work of the Growers and the Town Partnership in raising awareness of the industry during such a difficult period. With renewed emphasis on buying quality British food this is the ideal time to be raising awareness of the centuries’ old Lea Valley glasshouse industry. Our members produce up to 75% of the UK’s cucumbers and 50% of the UK’s sweet peppers, and they could grow more with support from the Local community and Epping Forest District councillors if the planning system allowed them to do so.